Enough time has gone by now that I can actually talk about this event without resurrecting old nightmares. 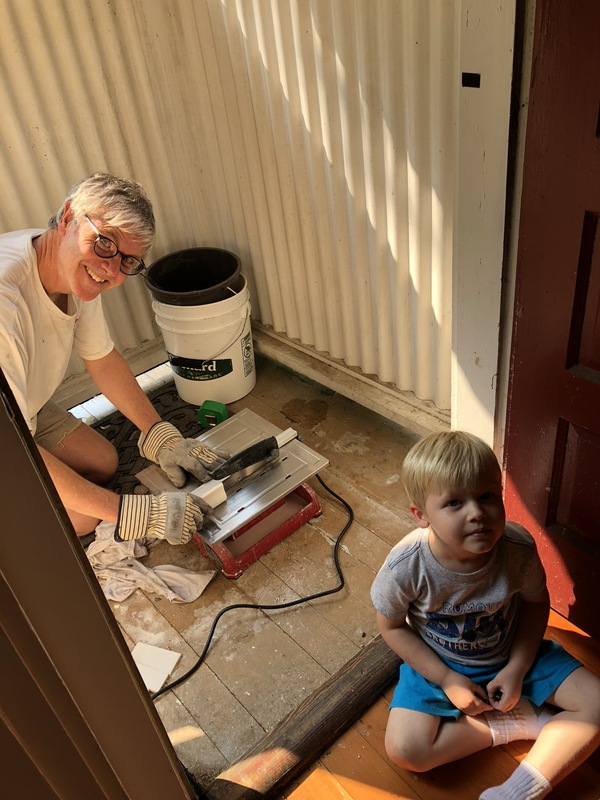 Last August after flying back from Seattle to visit our daughter and grandsons, upon entering our home we found a surprise—a very unpleasant one. Picture me standing in the kitchen looking through a week’s worth of mail that had accumulated while we were gone, my wife calls to me and says, “Honey come in the bedroom, I need to show you something.” While some men might begin to imagine something exciting, I unfortunately knew that we had been finding some large palmetto bugs (I just hate to say the “R” word) in our master bathroom and assumed she had discovered some in our bedroom. If only. 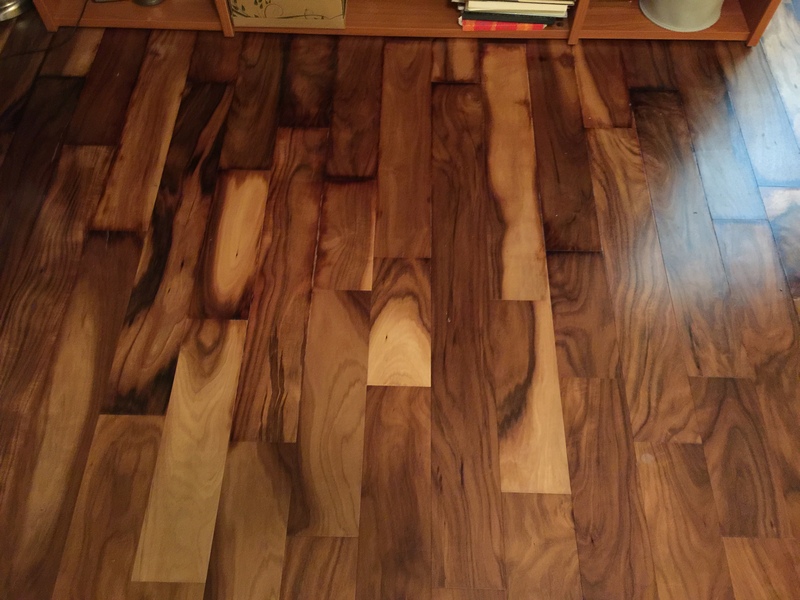 Looking down where my wife was pointing, I could see that our beautiful wood floor had sustained significant water damage and looking up, I could see that it was coming from the second floor saturating the ceiling as well. Running upstairs, I found these two sinks full of cold water and overflowing onto the floor. Sadly I immediately knew what had happened because this was not the first time. 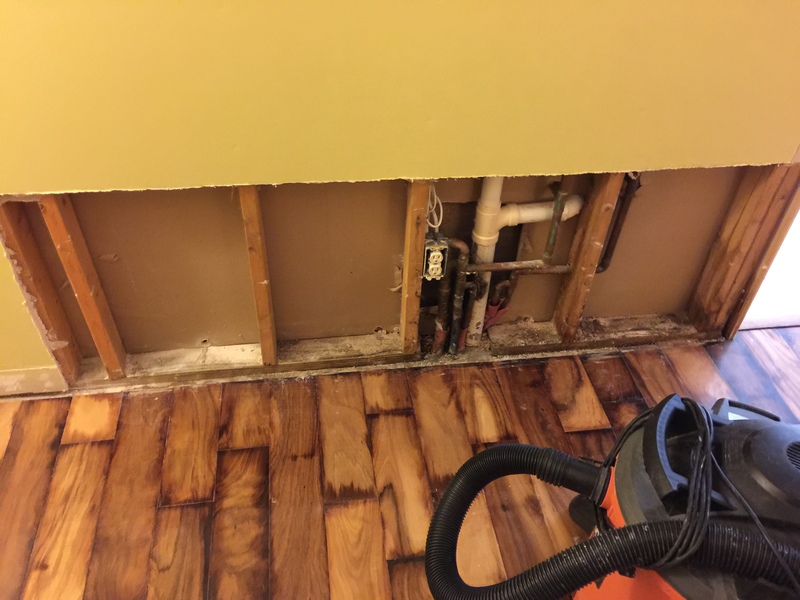 In fact, the pictures above were taken in 2012 after I had tiled the bathroom floor because the same sinks had backed up and ruined the carpet that had been in front of the sinks. 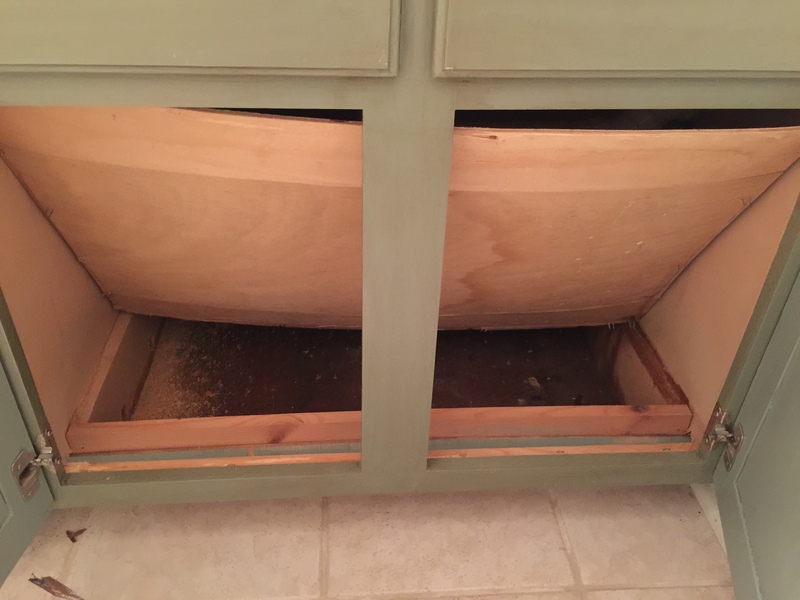 The culprit was the A/C condensation line that is tied into these sinks. 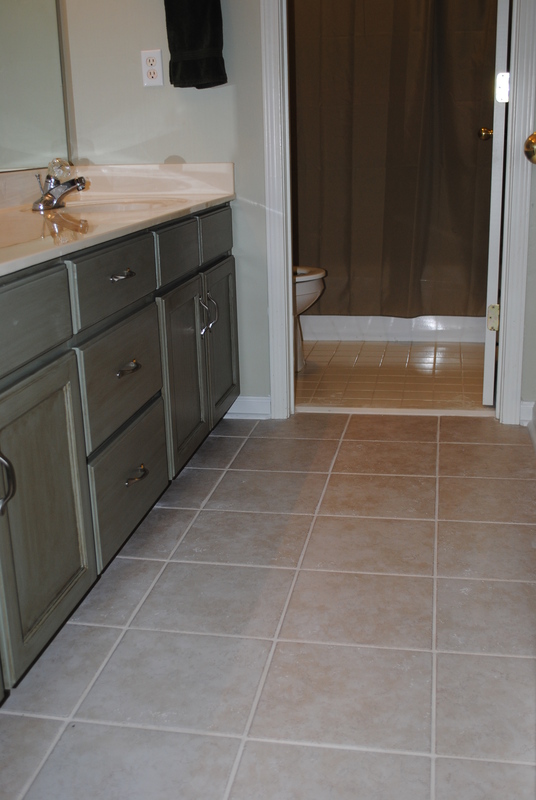 According to the plumber, cold-water algae can build up from the continual draining of ice-cold water and eventually block the drain. 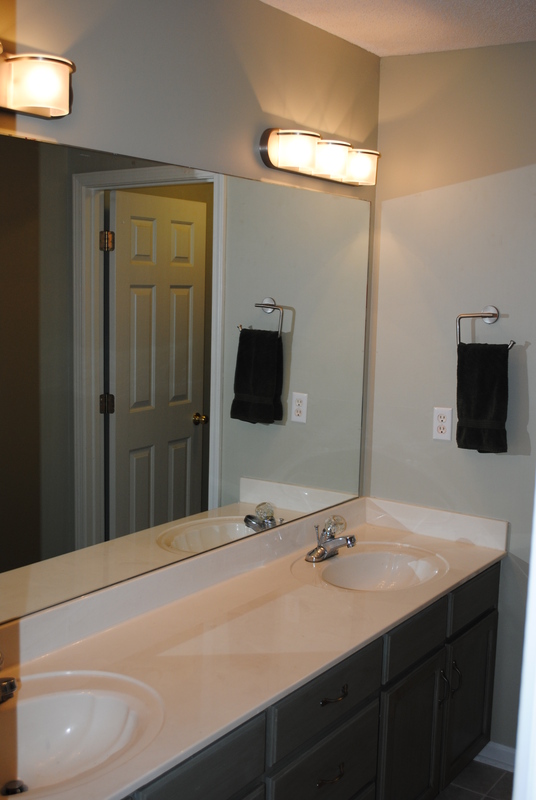 The remedy is to monthly pour a small amount of concentrated bleach down each sink to keep the growth at bay. 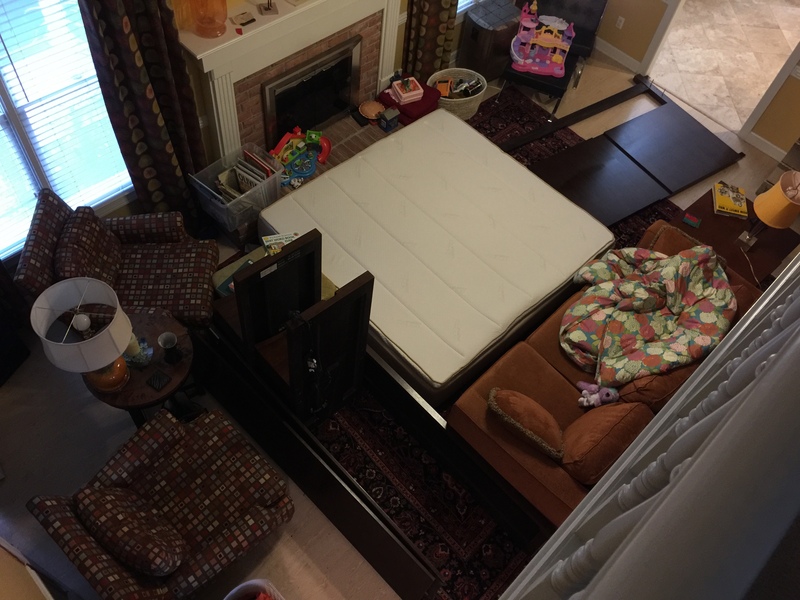 In 2012, we caught the overflow in time to just lose the carpet. This time, the water had been overflowing the sinks for possibly up to a week, the entire time we were gone. Our next task was to bail the water out of these sinks continually until the plumber could arrive on Monday morning to unclog the drains. 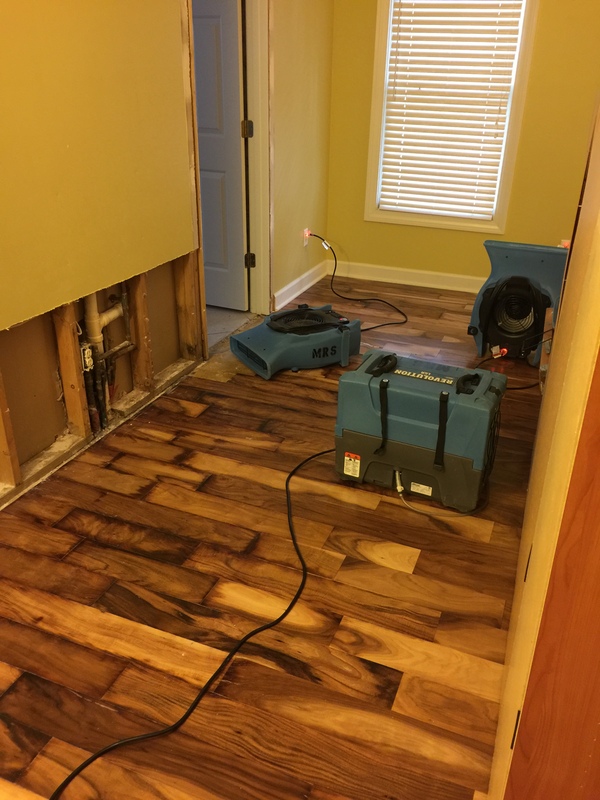 That afternoon, the restoration company arrived to begin the drying out process. 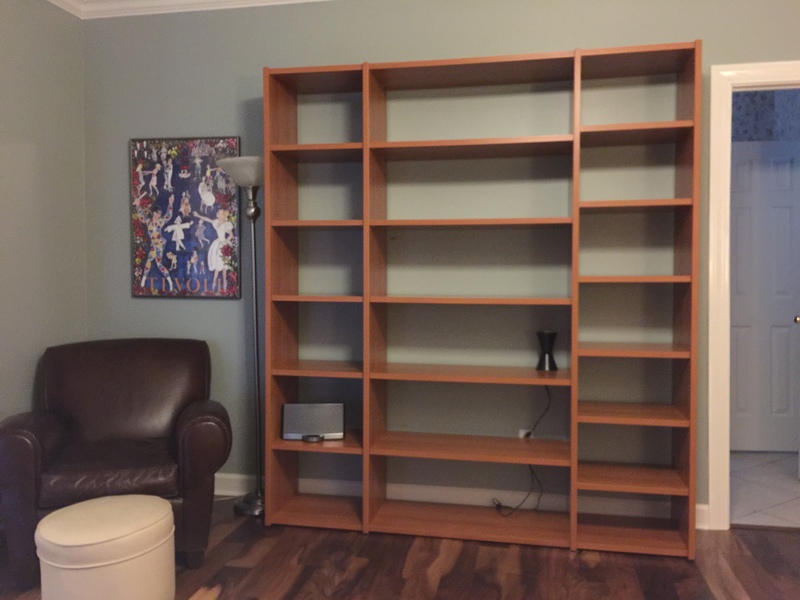 First we had to remove everything off the large bookcase in our bedroom so the bookcase could be taken apart and moved. 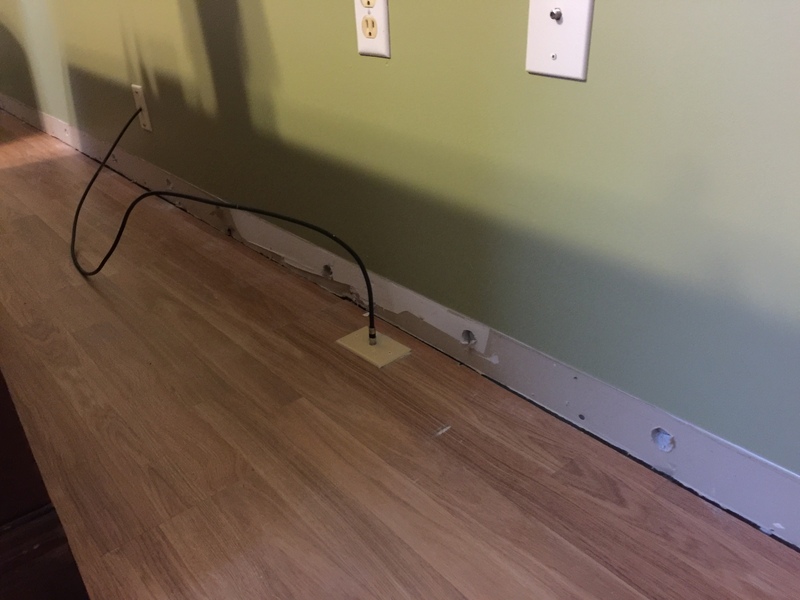 …and the baseboard in our daughter’s bedroom. 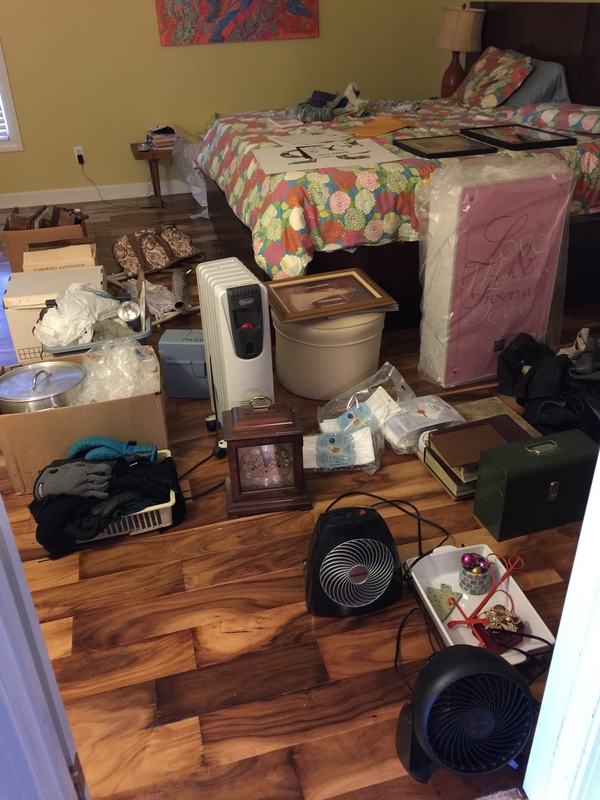 Then they set up fans and dehumidifiers in our bedroom, our master bathroom, the upstairs bathroom where the water had come from, and our daughter’s bedroom. 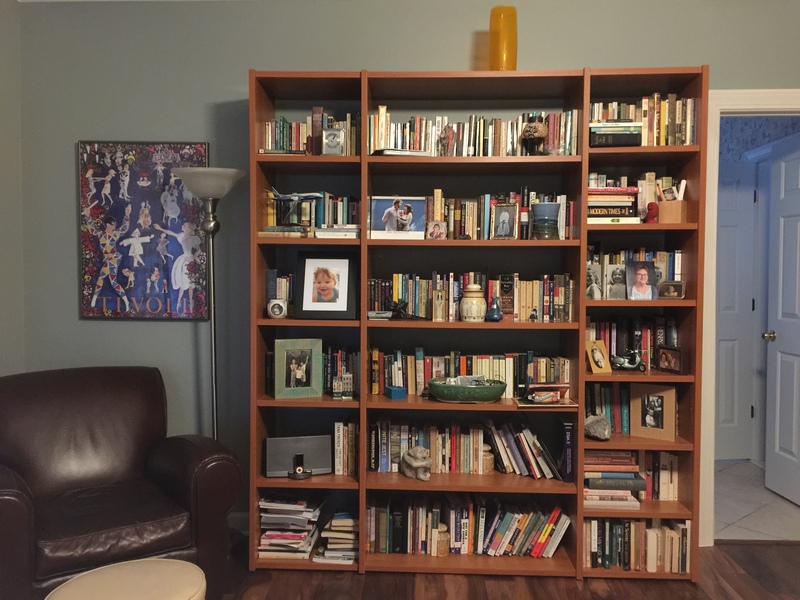 The noise, heat and humidity put out by the fans made our home uninhabitable. Fortunately we had our condo that we could escape to. And that’s where we lived on a day-to-day basis for the next week not knowing how long it would take to completely dry everything out. It took a full week. 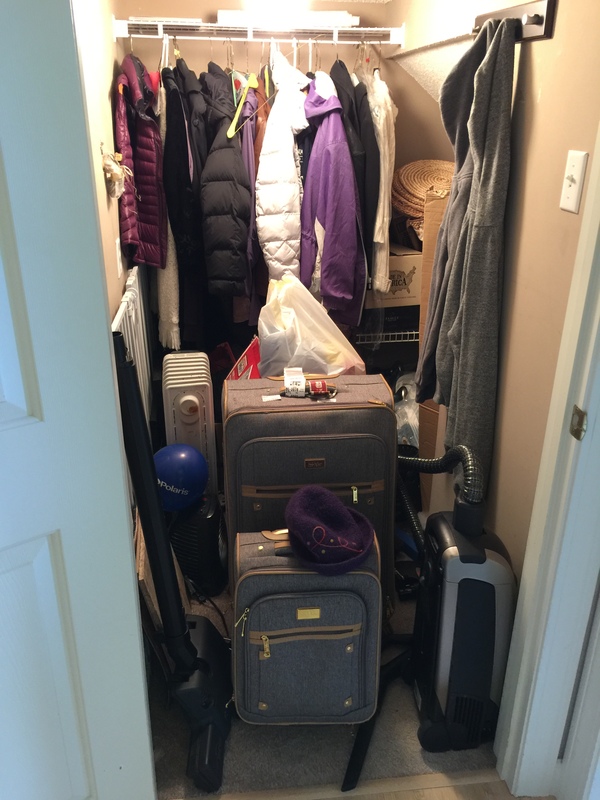 In the midst of all this chaos, I decided to add a bit more by cleaning out the closet under the stairs. 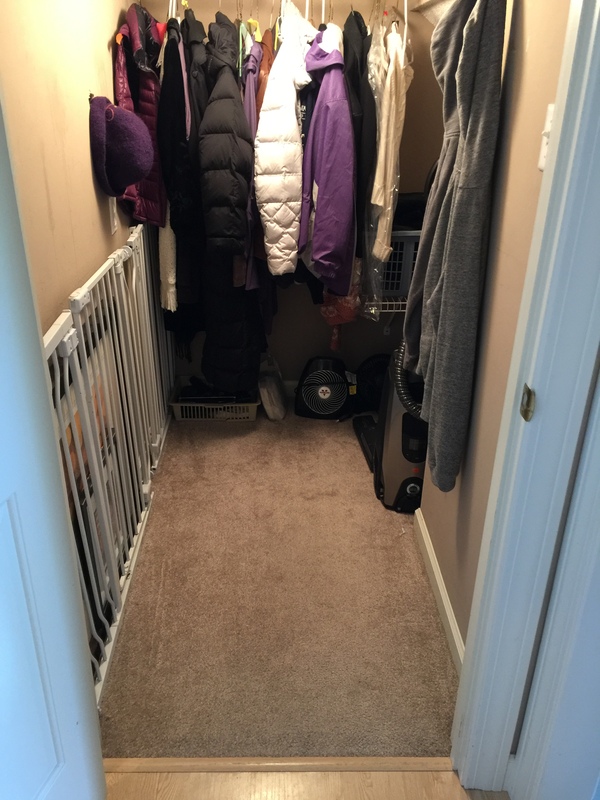 …but it was nice to reacquire some useable closet space. 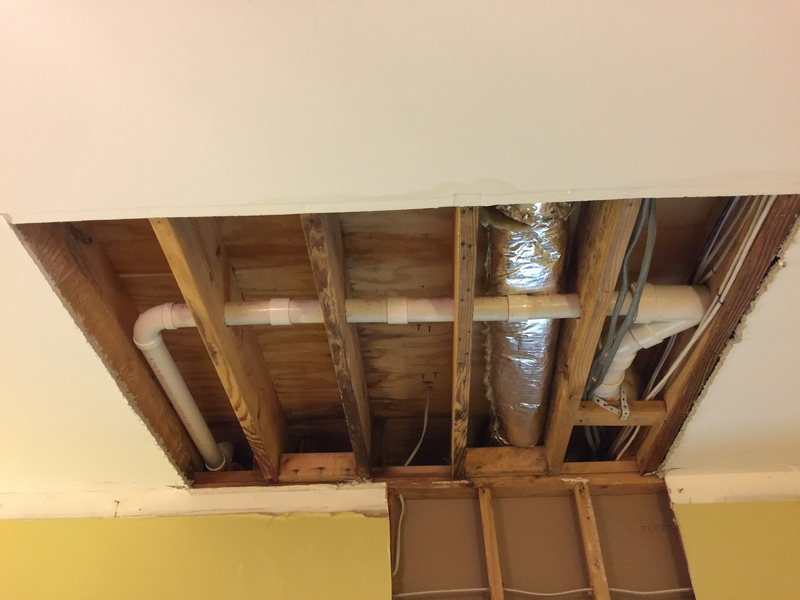 With everything dry, new sheetrock could be patched in and all the waterlogged wood trim replaced. 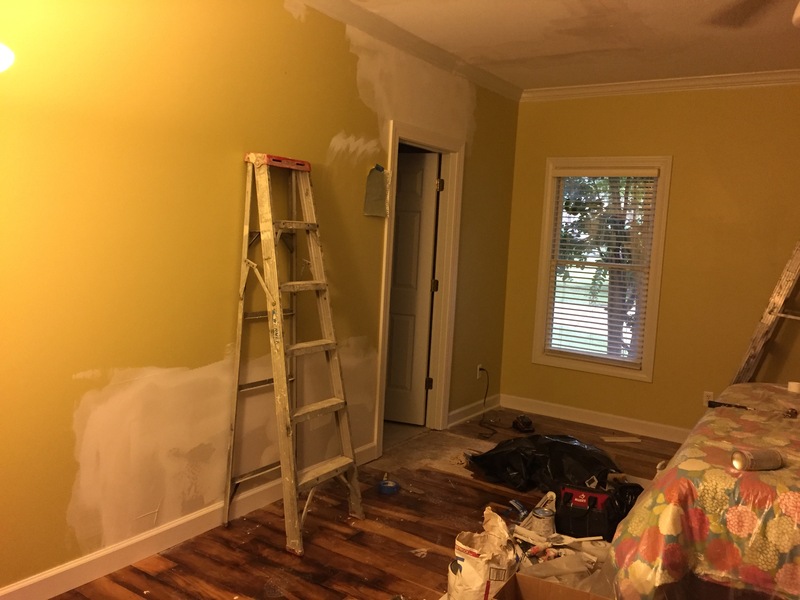 Considering what the repairs were going to cost, we decided to get at least one redeemable value for our money and so when our bedroom had to be repainted, we chose a new color. 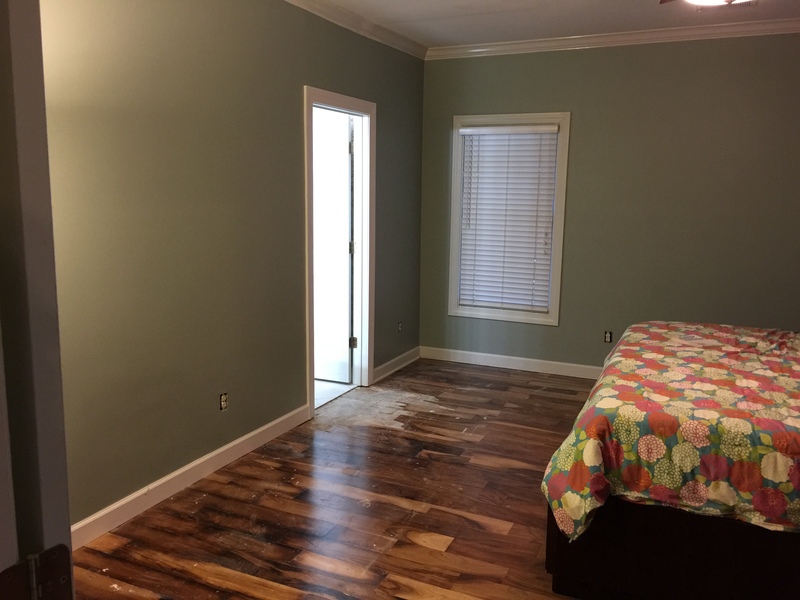 The next step in this arduous process was to replace the entire bedroom floor. 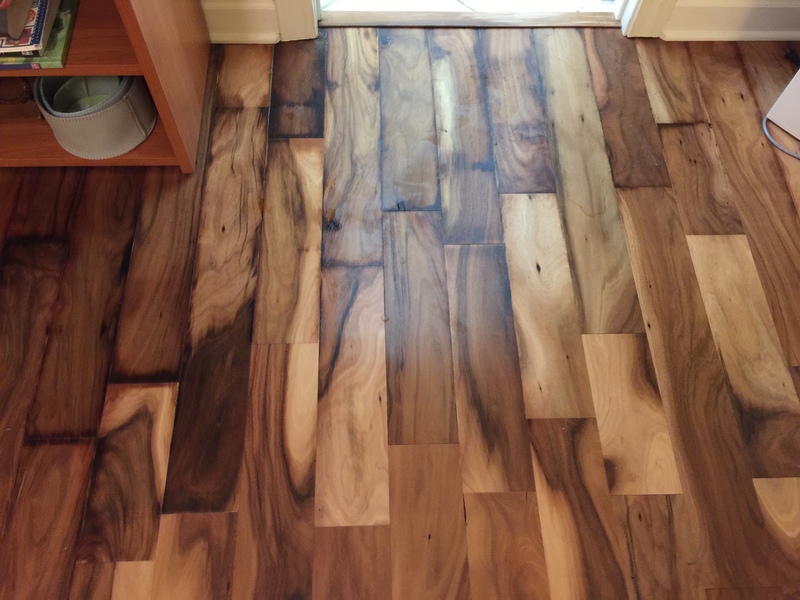 This turned out to be quite a deconstruction task as the flooring was glued down and required repeated cutting and rigorous chiseling up. 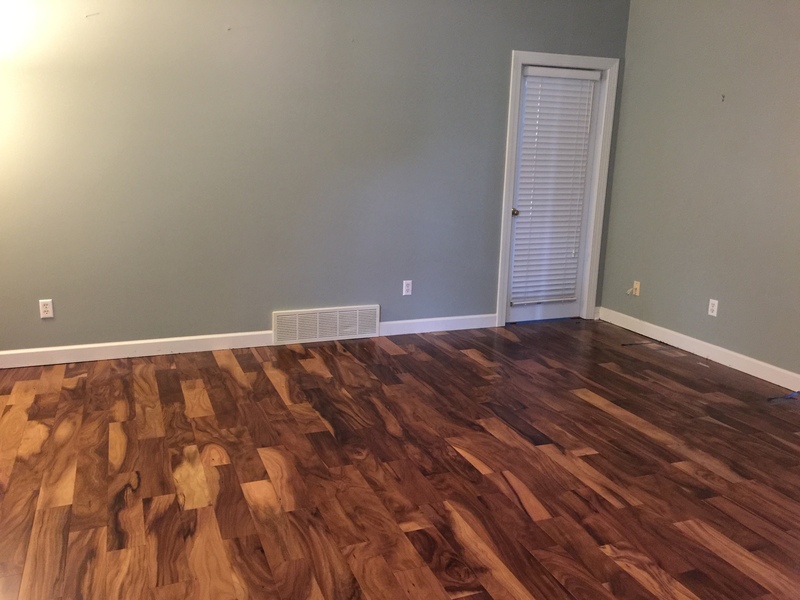 But the new flooring, once complete, looked great! 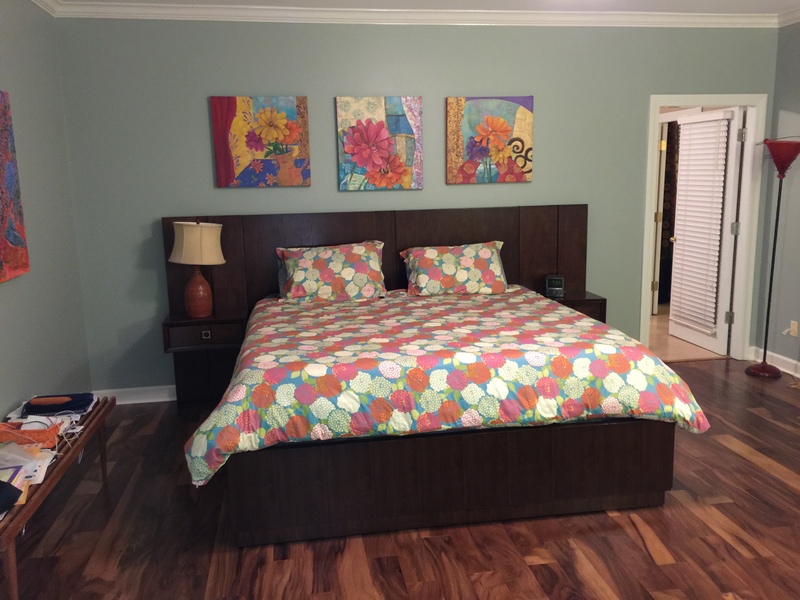 The final step was to install the shoe molding and then paint all the new trim wood. This occurred the day before I was to leave on another weeklong trip to the west coast, exactly three weeks after the repairs were started. 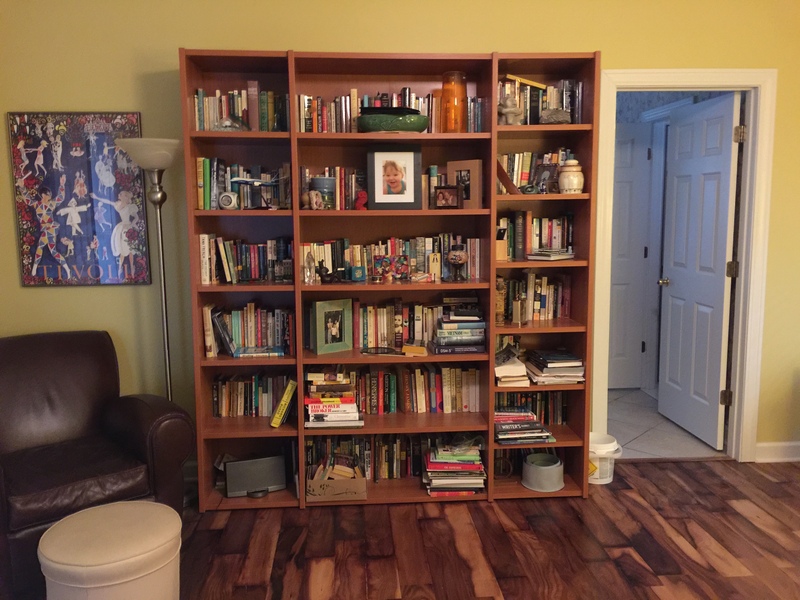 And because the paint was oil-based, I could not move the furniture back into the room for 24 hours, which meant our house would still be in a state of disarray for when I returned. 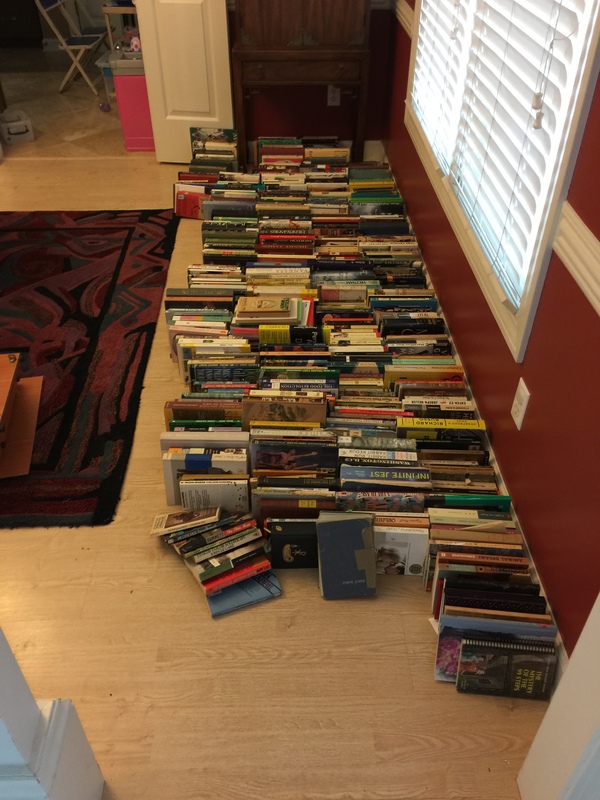 …and then reassemble the book case. 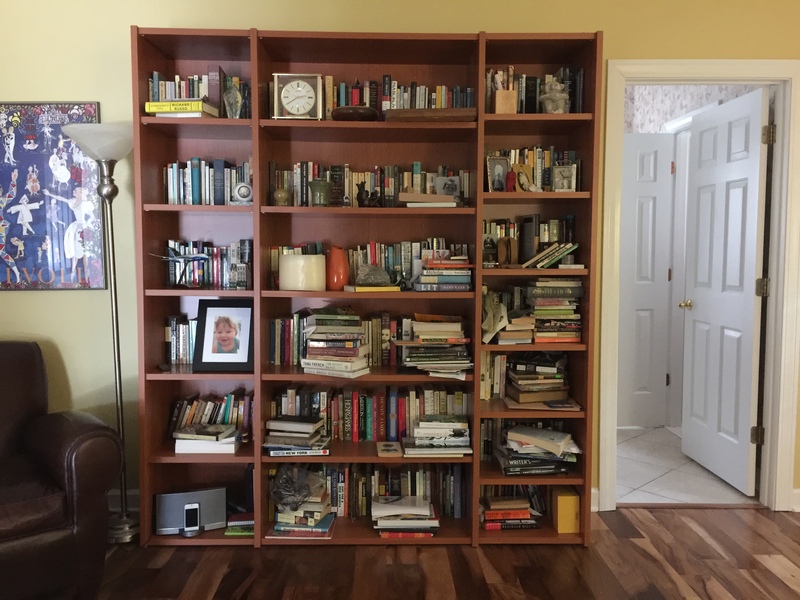 The last step was for my wife to re-shelve all the books and assorted knickknacks on the bookcase, returning our home to its pre-water disaster state. 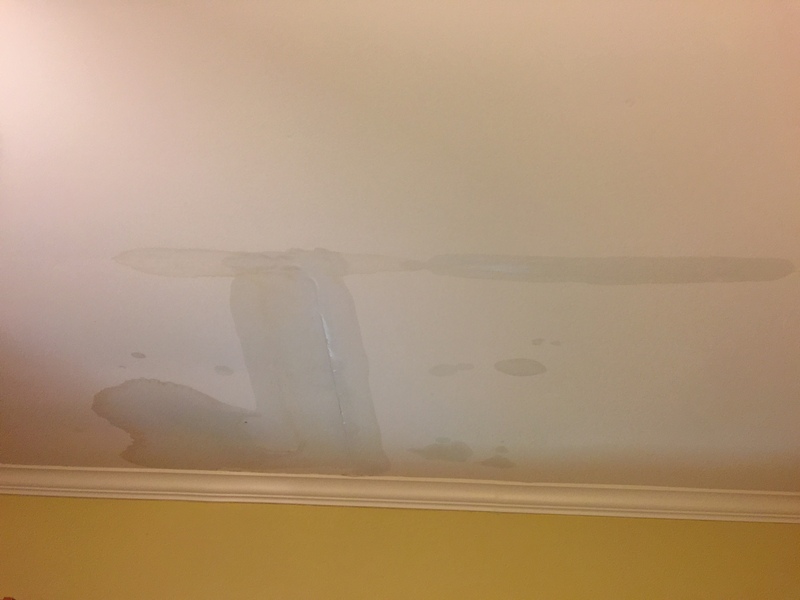 All in all, it was an expensive lesson in neglecting home maintenance costing nearly $10,000, of which our deductible was about 1/5 of the total. As the plumber suggested, I have now added to my routine home maintenance activities pouring Clorox down the drains at the end of each month. The old saying “fool me once, shame on you; fool me twice, shame on me” is further motivation for me to avoid a repeat of this most unpleasant occurrence. Maybe you too, should get out the Clorox and heed this warning. Ahhhhh! I’m so sorry this happened. But I’m sure it will never happen again! You are right. The next time I travel in the summer I will just turn off the AC.